Gareth Brown dwells within the Anthropocene, specifically within the ruinous terrain of inner city Leeds, with his 8-year-old son. He’s currently finishing a PhD at Leicester University on organisation and the collective imagination. He’s an editor of bamn magazine, a regular contributor to the Surrealist journal Phosphor and helped to set up the communist organisation Plan C.
by Nicholas Beuret and Gareth Brown. The culture of the Anthropocene crawls with narratives of survival. A quick glance at the last few years’ TV and cinema listings reveals a plethora of such things, suggesting that the public appetite is strong enough for these narratives now to be considered an aspect of mainstream popular culture where once they may have been niche. Most recently in the cinema, Interstellar has explored a number of themes common to these narratives such as scarcity, waste, and salvage. However, whilst Interstellar seeks refuge in the familiar, age-old ideas of exodus, pioneering, and the endless frontier, many of its contemporaries seem to be exploring a different model of change, expanding neither along the extensive lines of the Wild West nor the intensive lines of Marxist theories of revolution that constitute the mainstays of modernism. 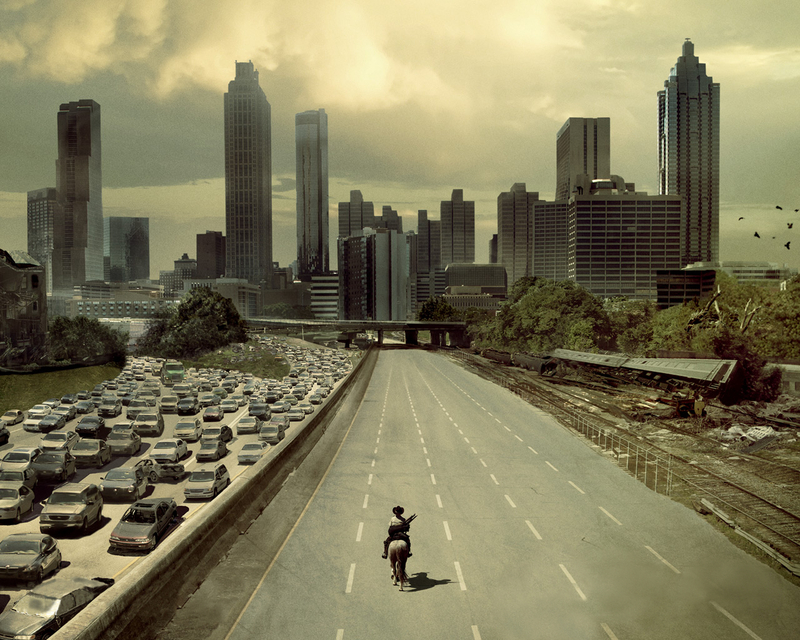 The Walking Dead is a clear example of the counter (or alter) narrative.